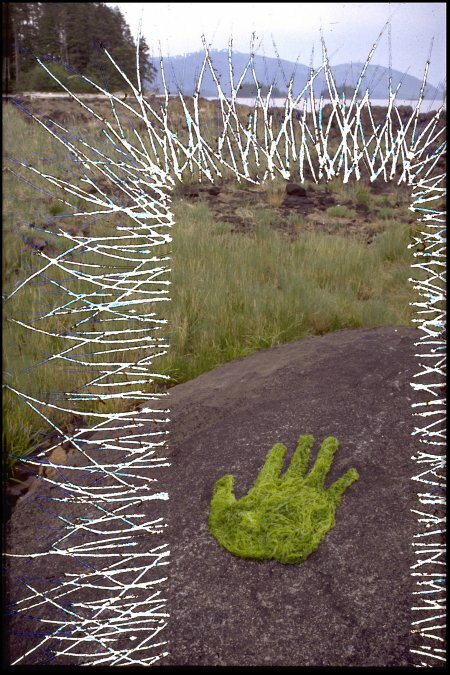 Washington State artist Gloria Lamson has worked in environmental art and photography in Alaska, Hawaii, Wyoming, Washington, Arizona, and California. Her work has included wrapping rocks and trees in muslin, activating fire to mark paper and stone, using flour to reveal wind movements, floating survey tape on water to register tidal changes, and stringing trees with webs to reveal luminous connections. For Lamson her studio is "a kind of sanctuary dedicated to the sacred purpose of bringing spiritual needs and desires into forms that support and nurture growth of consciousness. It's a place to give form to spiritual intention." 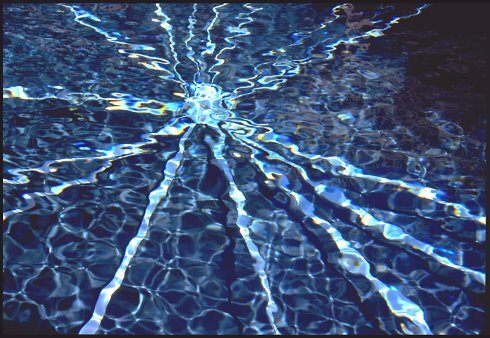 Further describing her work: "Art invites and stimulates awareness, connecting the sacred and the mundane. It is a vehicle of exploration, a context and tool I use to link the physical and nonphysical worlds. 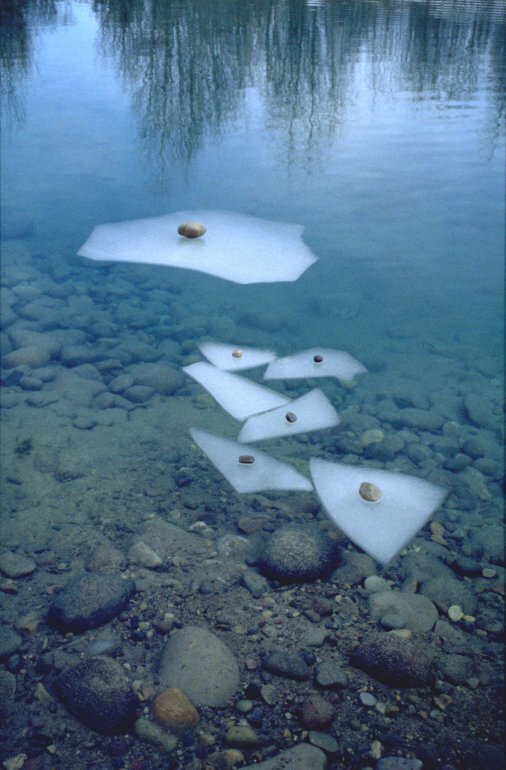 Using materials found in nature or common manmade substances, I create temporary, time- and site-specific forms in natural or architectural environments, and document them with photographs." To see more work, visit www.artransforms.com and www.greenmuseum.org. Fire Figure, Southeast Alaska, 1998. By Gloria Lamson. "For four summers I have returned to the same remote island in SE Alaska, uninhabited by humans, to explore art as interaction with nature, time, place, and self. 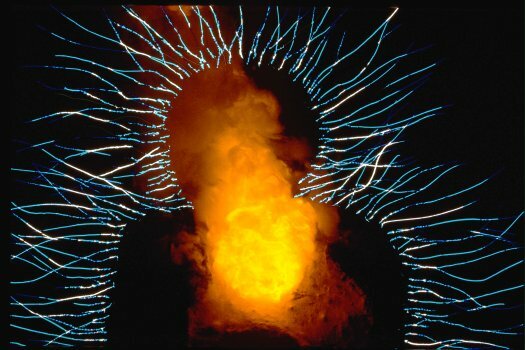 I have engaged with that environment in temporary installations activated by elemental forces."